I used to think that a blanket was a lot of knitting. But it's not necessarily that much more knitting than a scarf, and the finishing is easy, unlike a sweater. A blanket is not a bad knitting project for any level of knitter. You can choose to knit an elaborate king size blanket, or a simple garter stitch rectangle for a doll. It's also a good project for kids learning to knit who want to make something, but who don't want to make a washcloth or a scarf. I think a knitted blanket was my very first project, even if I didn't plan it that way; I was six years old, and my knitting tension went from very very loose on the first few rows, to very very tight on the last. 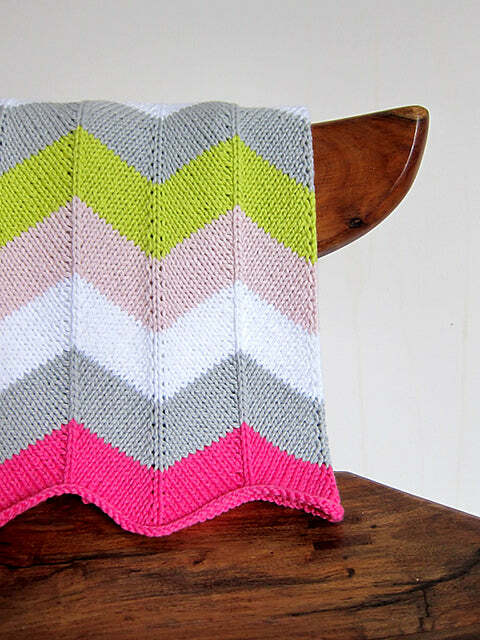 It was a garter stitch triangle of many colours that became a doll's blanket. 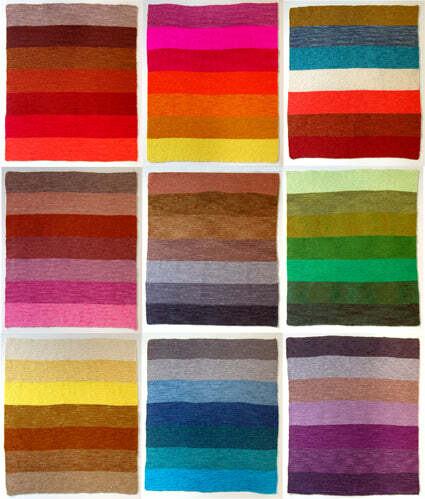 There are a lot of lovely knitting patterns for blankets out there. Here are 3 free patterns for blankets that are very sweet: Super Easy Baby Blanket from Purl Bee, Tree of Life Knitted Afghan from Lion Brand yarns (you need to register on the website), and the Chevron Baby Blanket from Espace Tricot. But you don't need a pattern to start a blanket. All you need is a stitch pattern and a simple recipe. Step 1: Calculate your knitting gauge in stitches per inch. If the finished size of your blanket isn't crucial, use the gauge suggested on the yarn's label. Step 2: Decide on the width of blanket you want to knit. Step 3: Multiple your gauge by width. Cast on this many stitches. Step 4: Knit every row until the blanket is the desired length. Example: Doll Blanket, 10 inches wide, with a gauge of 4 stitches per inch. 4 sts per inch x 10 inches wide = Cast on 40 sts. You will have to take the pattern repeat into account when calculating your cast on. Step 4: (17 x 6) + 1 = (102) + 1 = Cast on 103 stitches."